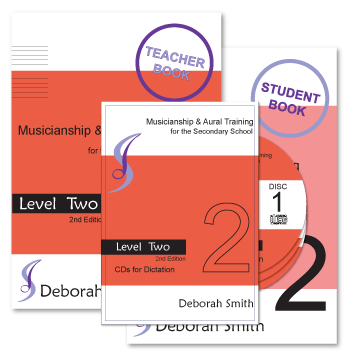 These books (student and teacher editions, CDs for Dictations and MP3 Files for Dictations) have been written to provide a broad, thorough and sequential music curriculum for students in middle secondary (Years 9 and 10 or elective music students) and have also been used to provide students beginning senior music with a concise and thorough overview of music theory and aural comprehension. These books are the ideal introductory course for preparing students for senior level music studies. The TEACHER book is now supported by amazing, FREE digital resources!